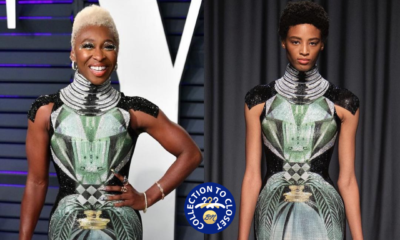 It’s time for another edition of BN Collection to Closet – our style feature where we show some love to our African fashion designers by shining a light on those who #BuyAfrican. Today we have TV personality, actress & Emmaus Beauty ambassador – Michelle Dede in Lisa Folawiyo. Doesn’t Michelle look fabulous in that photo? 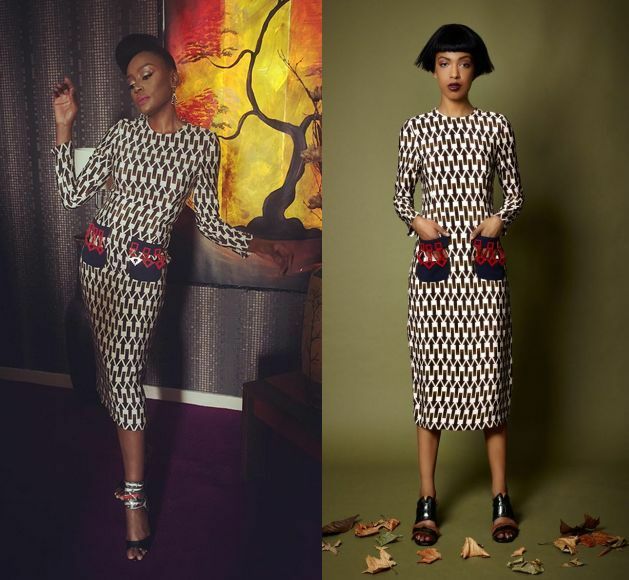 Nigerian womenswear brand, Lisa Folaiwyo, definitely has pieces that are hard to miss. The fashion brand has been giving us year after year of fashion perfection that has caught the eye of international brands, celebrities and publications. She is without a doubt one of the biggest names in African fashion…and is showing no signs of slowing down. While hosting the Moments Nigeria show with other fabulous ladies, Michelle Dede, styled by Yummie Ogbebor, decided the only way to go was the Lisa Folawiyo way. Looking fabulous in a piece from the brand’s Autumn/Winter 2015 collection, Michelle looks picturesque in the arrow print dress, complete with fab heels and makeup by Doranne Beauty. Looking good Michelle, looking good! 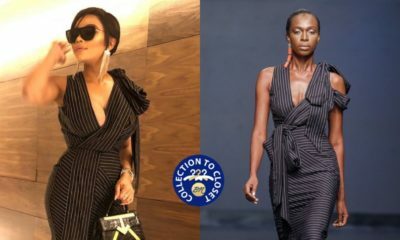 Angela Simmons Hits the Red Carpet in Nigerian brand – Frock It Rock It at ‘Growing Up Hip Hop’ Premiere!